Our Curriculum Advisory Board works closely with the education department and franchise owners to ensure our Kiddie Academy® Life Essentials® philosophy prepares children for school and for life, and sets our franchisees up for success. Our defining curriculum, philosophy and commitment. Our continuing dedication to quality education and child care gives our franchisees a powerful competitive advantage when marketing Kiddie Academy to parents. All of our programs meet or exceed state standards. Kiddie Academy is accredited by AdvancED, a global community of education professionals who run rigorous onsite reviews to ensure continuous educational improvement, Their accreditation services are used in schools throughout the United States and in 70 countries around the world. We encourage all Academies to pursue accreditation from National Association for the Education of Young Children (NAEYC). 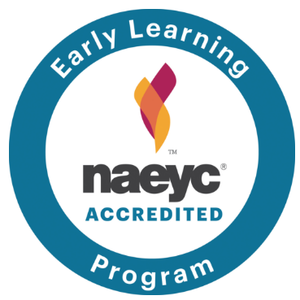 Earning NAEYC’s seal of approval is proof that an Academy has met or exceeded the organization’s 10 Early Learning Program Standards, which are best practices for young children’s development and learning. We support Academies’ process for accreditation with dedicated Kiddie Academy staff experienced in early childhood education. NAEYC’s accreditation process involves a comprehensive internal review and continuous quality improvement. The standards cover areas including relationships, a well-rounded curriculum, teacher and staff competencies, appropriate and effective teaching practices, and ensuring safe and healthy facilities. NAEYC accreditation means parents can rest assured our Academies provide the highest standards for learning and development as they choose to enroll their children. Well-rounded learning for school and life. Our leadership in the early childhood education industry comes down to one very important element: our commitment to continually explore, improve and meet our own stringent standards. At the core of our philosophy is a passion for well-rounded learning that includes mental, physical and social development. Learn more about Life Essentials on KiddieAcademy.com.